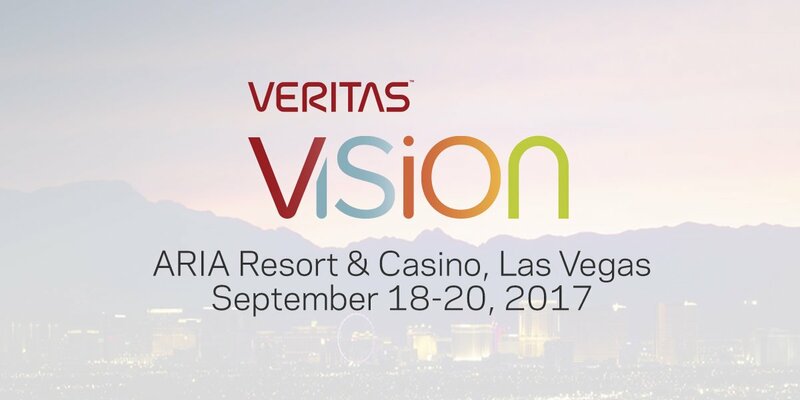 Vision 2017, Veritas' annual global conference was recently held in Las Vegas, providing customers, partners and Veritas employees the opportunity to meet and discuss the upcoming year of new releases and capabilities from the Veritas product portfolio. The focus was on Veritas' strategy to support emerging IT industry direction and requirements. The conference was heavily themed on discussions around cloud adoption and overall product enhancements. The announcement around Information Map included 20 new data sources that will be supported over the next several months. These were successfully demonstrated in hands on labs at Vision and included Azure, Google, and Exchange mailbox discovery. Overall Vision 2017 was packed with new product announcements and themed with Veritas’ commitment to support IT organizations with innovation and ensure continued support for their flagship products. As a Veritas Platinum Partner, with over 200 technical certifications, Daymark can help you with your current and future initiatives. Please reach out to us with all questions you may have surrounding Veritas announcements and products.